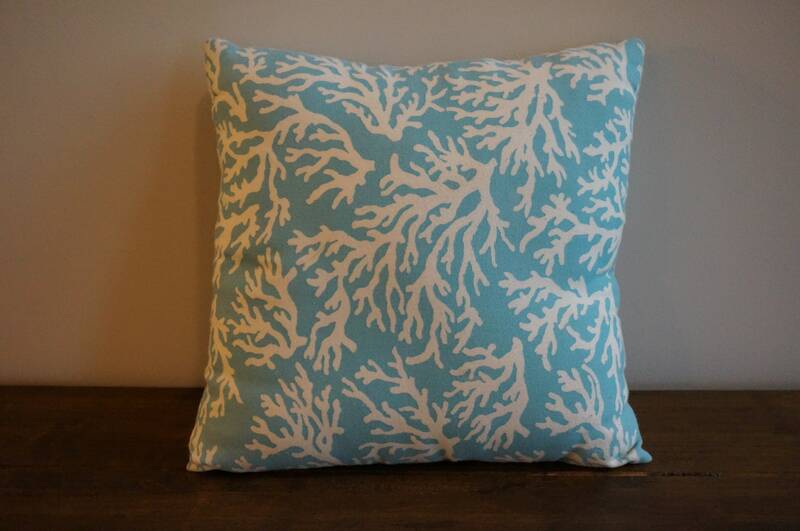 Sky blue soft pillow with white coral pattern. Handmade and found at a local antique store. 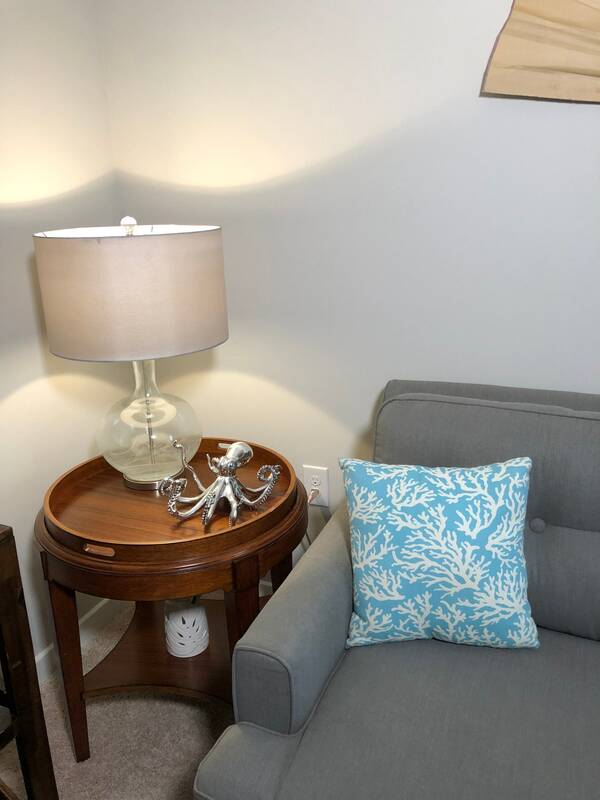 This pillow is 14 inches square. 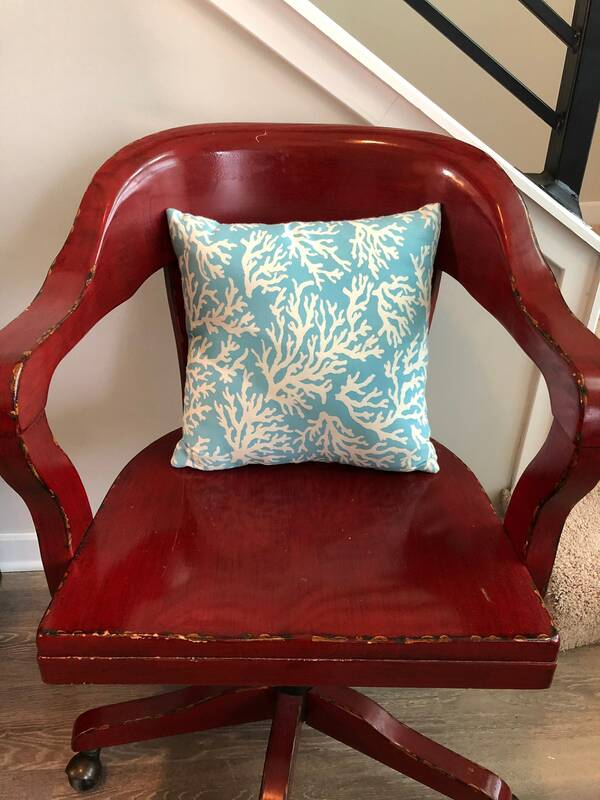 It would make the perfect addition to a beach themed cottage, house, or condo.